The Batcave - BATMAN too old! Ben Affleck’s age not a problem…FULL STOP! As a huge Batman fan of the comics and the films I am so infuriated by all the backlash and criticism that 'Mr Affleck' has had over his casting of the Dark Knight. 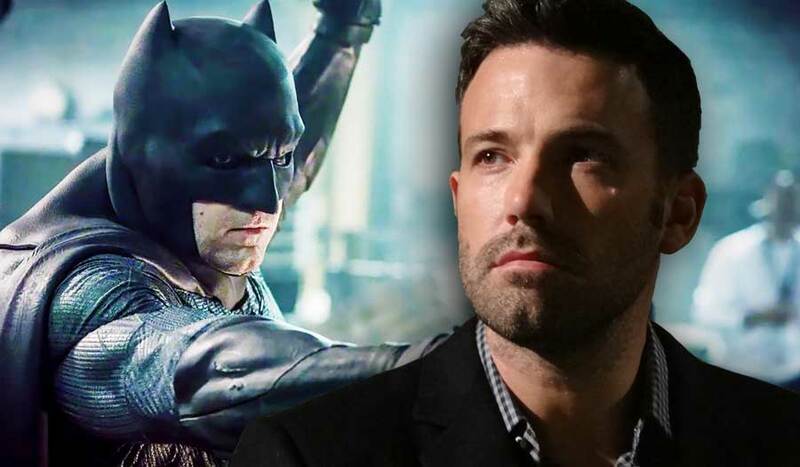 From the minute it was announced that Ben Affleck was to don the cape and cowl he has had a barrage of hate and criticism thrown at him from all angles. Not from me! As soon as I read that he had the gig, I just knew he was going to prove everyone wrong and WOW did he not disappoint in any way. The guy IS BATMAN and not only is he Batman, but he’s also an awesome Bruce Wayne and to be honest it’s the Bruce Wayne part I always thought he would nail straight off. As a person in real life he comes across as strong character who oozes charisma and a magnetic personality, he’s a handsome guy with a strong chiselled chin, exactly how Bruce Wayne is characterised in the pages of the comics. In my opinion, if the actor taking on the dual identity can crack this part then he’s more than half way there and playing the part of Bruce Wayne is probably harder than the role of the Bat! It’s no secret that this Batman was to be based more than ever on Frank Millers ‘Dark Knight’ version of The Batman and Ben Affleck looks the part in ever way of the wiser and more savagely violent, ’brute’ like Batman… when in costume… but still having that imposing frame when Bruce Wayne, but with charm and sophistication. To be able to carry this transformation off 100% he needed the ultimate costume, not the god awful ‘baby grow’ outfit that ‘Bale’ wore or indeed the ‘rubber’ versions he was given in the earlier ‘Nolan’ films… no, this one had to be right… and OH how right it was! From those last few words ‘very traditional!’ I was hooked, I thought finally, it’s got to be a comics inspired costume and ‘BOY’ was I right! The first publicity shot that was released of him in costume, head down by the Batmobile, I was SOLD… THIS WAS BATMAN! Although I wasn’t sold on the huge Bat on his chest, and to be honest I’m still not, but the rest was perfect, true comics inspired and very imposing. For the next 18 months or two years I searched for any snippet of information or picture I could find leading up to the release of Batman V Superman, Dawn of Justice and then BANG! All the barrage and hate just doubled even tripled towards Mr Affleck… why? What the hell do these so called Batman fans want! In my opinion... and yes it’s my own personal opinion, but as a HUGE Batman fan I think I have the right to pass judgement. Ben gave us what I believe to be the best ever Batman on film to date. Up until seeing Ben Affleck as Batman I was always a Keaton fan, but Ben Affleck WAS Batman. He’s formidable in every way, he’s frightening, he lives in the shadows, he’s scary to those that matter and … he’s huge! Would you want to come upon him in an ally way, I don’t think so and that’s what Batman is all about! If you’ve done something wrong, you fear him, if you haven’t then you don’t! I enjoyed the film too! No wonder Mr Affleck had a long face in interviews, gawd’ I really felt for the guy then … he’d just given the Bat community a BATMAN we’d always wanted and all the so called fans could do was totally slate the film and Mr Affleck. Well 'BOO HOO' to you I say!!!! Luckily Mr Affleck came through the storm of whether the film was any good or not and stuck to his guns, amidst all the “he should be replaced” crap and is ready to done the cowl yet again and NOW we have to put up with ‘He’s too old’ for the role! For crying out loud who are these so called fans, they certainly aren’t BATMAN fans and they sure as hell have not read Frank Millers ‘Dark Knight’ novel! The Batman of these films is supposed to be older and wiser, it’s not the exact Frank Millers ‘Dark Knight’ that would probably put Bruce Wayne at fifty odd if not older, no we have him at around forty odd, that’s FOURTY years old for those that need it spelling out! He’s not a decrepit old man, yes he may be passed the typical comics book age of around 30, but he’s NOT half way dead either! READ THE NOVEL for any IDOT that doesn’t get it or understand it! This Batman is not only a feared ‘brute’, but he’s also a wiser and more experienced ‘soldier’ who’s been around the block a few times, who knows the ropes and can pass on his experience as well as lead, get it …. lead a team! In almost every Justice League comic it’s nearly always Batman who is ahead of the game and works out the tactics of what the team are up against…. has anyone seen the animated Justice League film, that also just happens to be Darkside they are up against! It’s Bat’s who figures most things out and directs the newly formed League into working as part of a team rather than separate soldiers. If you haven’t seen the film then I suggest you buy a copy, you might learn something! To all the ‘nay sayers’ I say ‘get a life’ and that you aren’t true Batman fans… this guy has finally given us a real Batman, a Batman that is more true to the pages of a Batman comic than we have ever seen before. He seems to have studied and understood the character more than any actor that has put the cowl on before him and he’s given the fans an accurate Bruce Wayne and an as realistic a Batman as we are ever going to see for a long long time! And NO, Ben Afflecks age is NOT a problem … FULL STOP!